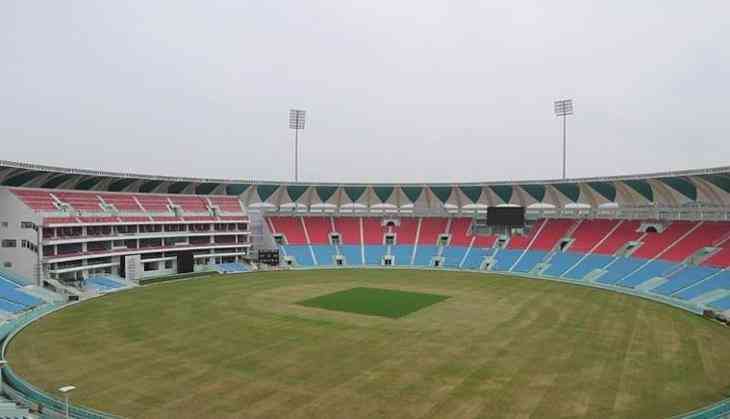 A day before India-West Indies match, Lucknow's Ekana International Cricket Stadium was renamed after the former prime minister and veteran BJP leader late Atal Bihari Vajpayee. The stadium has been renamed a day before the first international T20 match between India and West Indies was scheduled. The former Uttar Pradesh Chief Minister and Samajwadi Party (SP) president Akhilesh Yadav's dream project, Ekana stadium will be known as ‘Bharat Ratan Shri Atal Bihari Vajpayee Antar-Rashtriya Cricket Stadium’. As per a report in IndianExpress, the order to rename the stadium was issued by the Housing and Urban Planning Department Principal Secretary Nitin Ramesh Gokarn after Governor Ram Naik gave his nod.